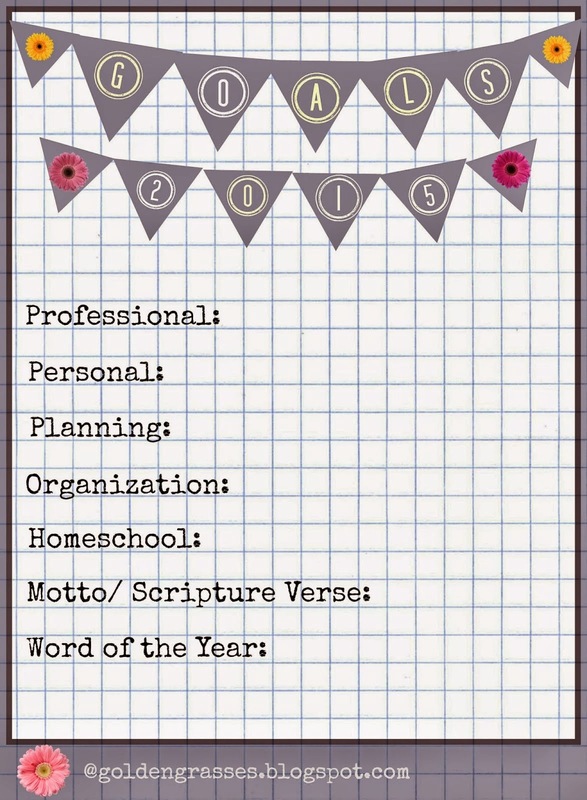 Earlier, Lisa over at Golden Grasses issued a challenge to blog about our 2015 goals. I once read a motivational type article that said, instead of making resolutions of change, such as losing x amount of weight, to set more realistic goals like, "don't gain weight." So I've pretty much lived by that the last few years. There's only one problem with this. If you WANT change, you have to make a GOAL for CHANGE! Just simply setting a goal for no negative change doesn't really help matters. So,Lisa...Challenge accepted! I want to install a new scheduling software that will allow me to schedule photography clients, send out billing invoices, etc. I hope to have my studio up to par. I have a lot of great ideas planned out, and some will be put into effect in time for Valentine's Day! I have a great program that will help tremendously! I can't wait to see it in use. I just need to make the time to learn it properly. I'll be scheduling Valentine mini sessions soon that will use all new props and backdrops. I'm so excited! If you'd like to see my work, check out my Facebook photography page. I want to make it to the gym at least 3-4 days each week. I hope to take more time for myself, which is something I rarely do. I want to focus on taking care of myself-inner health and outer appearance. I want to read my Bible more. I don't take nearly enough time to take care of myself, the way I should. I plan to change that this year. I have a membership already, and friends to go with me. I just need to find time for myself to go. Afterall, a happy mom is a happy family! I hope to schedule more social activities/attend more social activities this year. Schedule blog posts, and have a routine to our days. This is my character flaw. Sticking to plans. I'll need prayer and help with this. 2015 will be the year for de-cluttering and organization of my home! I am going to totally revamp the kitchen, dining room, bookshelves, closets, and all clutter catching areas! I AM GOING TO DO THIS! We definitely live in this home. But, there's just a little too much life going on HAHA! 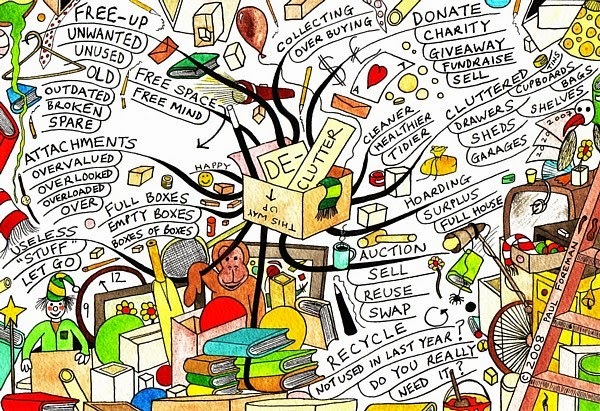 It's time to part ways with the clutter! I see a HUGE yard sale in my future! I want a routine to our days, as stated above. I want to plan weekly lessons, and stick to them. I want a scheduled day where we have breakfast at the same time, lunch at the same time, and lessons in between. This will benefit us both greatly. I also want to include more outings and more hands on activities. Right now, I feel scatterbrained and unorganized. I don't like that. I don't feel like we are covering what I want covered, mostly because of too much outside stimuli. I plan to make a school days #1 priority in 2015. Things will be scheduled around school, instead of school being scheduled around other things. "Can" I don't believe we use the positive tense of the word Can enough. We are always saying Can't, but rarely say Can. I want to change that. If you want to work on your own 2015 Goals, here's a GREAT graphic Lisa created. This is the one I used for my own personal Goal Sheet! Thanks Lisa for the challenge! Don't forget to pop over to Golden Grasses and say "HI!" Love your goals! Thank-you so much for linking up! Thanks for giving me the challenge! Oh wow! 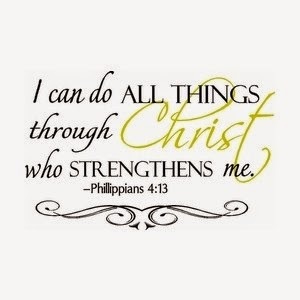 We had the same motto/verse for this year :) Awesome! Some of the same goals as well. Good luck to you and I'll be praying you meet yours and ask if you can do that for me as well! Thanks! I'll keep you and your goals in my prayers as well! I have a sweatshirt from high school with that verse on it. Raising a child with any sort of special need, I feel I rely on it so much!